In 1988, the Chicago public school system decentralized, granting parents and communities significant resources and authority to reform their schools in dramatic ways. To track the effects of this bold experiment, the authors of Organizing Schools for Improvement collected a wealth of data on elementary schools in Chicago. Over a seven-year period they identified one hundred elementary schools that had substantially improved—and one hundred that had not. What did the successful schools do to accelerate student learning? "Organizing Schools for Improvement has some pretty convincing conclusions on what characteristics separate successful schools from unsuccessful ones. The book offers important advice for people involved in any school, regardless of location or student background." 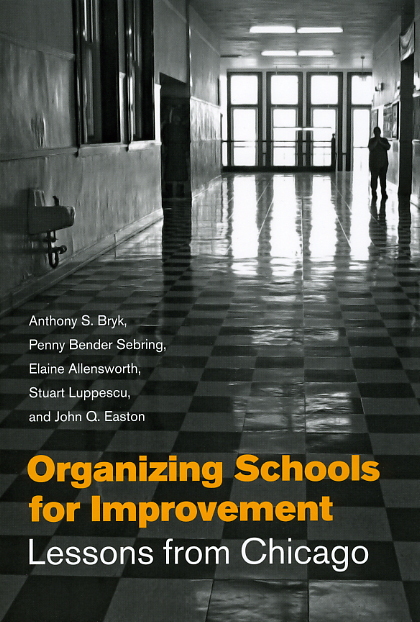 "Striking in its attention to the influence of community and educator participation in school reform, and sobering in its assessment of some of the neighborhoods where reform was most difficult to attain, the book Organizing Schools for Improvement: Lessons from Chicago is an essential read. . . . Bryk et al. provide a rigorous and compelling empirical study of the possibility for school reform and the degrees of compromise, particularly in contexts where extreme poverty and racial and ethnic isolation prevail."